Gov. Rick Snyder this week signed off on legislation that expands campaign donation limits for certain types of donors. Moreover, the "Citizens United" bills let politicians solicit money on behalf of political action committees. 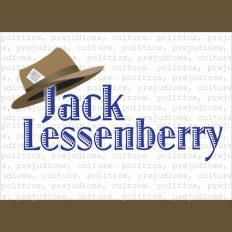 This Week in Review, Michigan Radio Weekend Edition host Rebecca Kruth and senior news analyst Jack Lessenberry try and read between the lines. The Michigan Civil Service Commission voted to limit the collective bargaining powers of 35,000 state employees Wednesday. It got rid of an individual union's ability to bargain for things like seniority, overtime pay, and scheduling. United Auto Workers President Dennis Williams fired up the rank and file at the UAW convention last week in Detroit. The meeting comes as the Union is preparing for a round of bargaining that will begin later this year with the domestic auto companies. Another law requiring state employees to pay more for their benefits was struck down in court today. This requirement governed pension plan contributions. 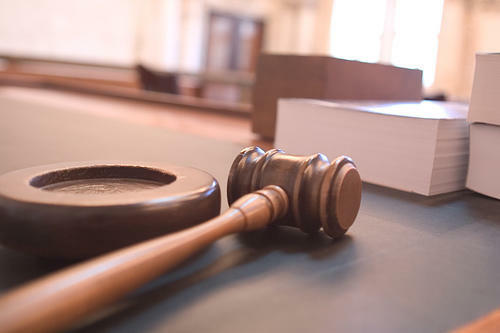 Another law requiring retiree health care contributions was found unconstitutional last year. The nation was riveted on Madison, Wisconsin last year when tens of thousands of people protested Governor Scott Walker’s proposal to dismantle most union rights for state and local workers. Walker was successful. Now, a year later, how have those changes made life different in Wisconsin? Changing Gears has been taking a look at the impact state governments have on everyday life, and I take a look at Wisconsin in the first of two reports. Governor Rick Snyder’s administration has reached a deal with unions representing 35,000 state employees on a two-year contract beginning next year. Last week, both sides declared their negotiations were deadlocked. The agreement averts arbitration hearings that were to begin Monday. Details on compensation, benefits and work rules are not being made public pending union ratification votes. But the tentative agreement does include some employee concessions, while the Snyder administration has agreed to examine manager-to-staff ratios and the cost of outside service contracts for possible ways to save money. The contract will take effect in October of 2012. The state unilaterally resolved a deadlock to come up with $265 million in savings in the current fiscal year by imposing four unpaid furlough days, and not filling 367 vacancies. About 2,000 corrections employees will also lose their jobs as the state closes a prison in Detroit. Governor Rick Snyder’s administration has ordered that 367 unfilled jobs with the state remain vacant. 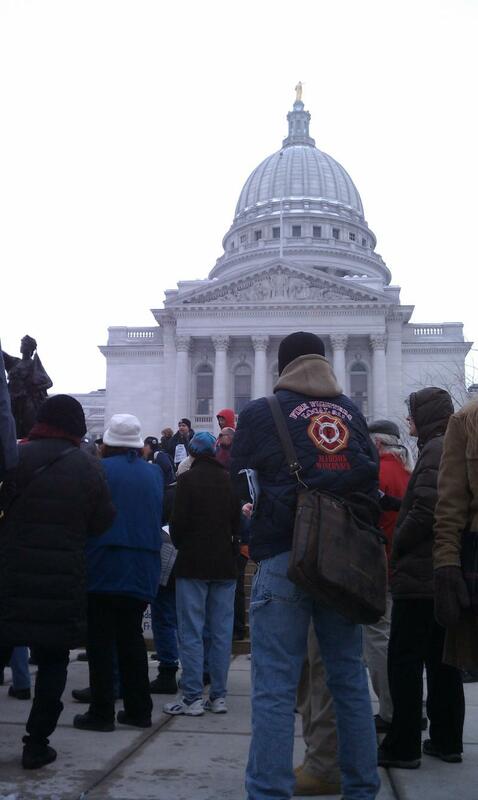 The order comes as a result of no bargaining agreement with state worker unions to cut costs. The governor’s administration will order state workers to take four unpaid vacation days in the coming fiscal year. Some say the furlough days won’t save the state as much money as expected. 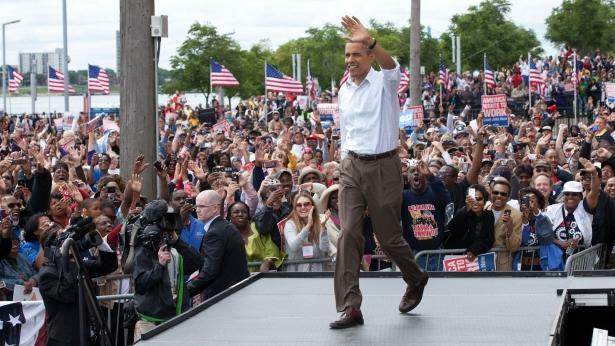 In Detroit, President Obama says unions can help "fully restore the middle class"
Speaking to union members and supporters at a Labor Day rally in Detroit, President Obama says his biggest concern is to “fully restore” the country’s middle class. But Mr. Obama also said he “won’t wait around for” Republicans in Congress. It’s expected that the Snyder administration will announce today whether the state will issue layoff notices to some 50,000 state employees, the Detroit News reports. 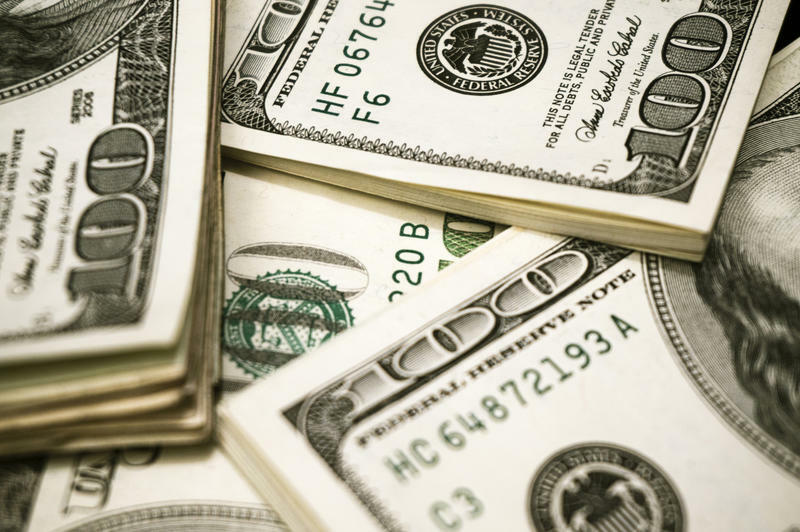 The administration wants $265 million worth of concessions from state employees but state employee unions say there are other ways for the state to save money. Gov. Rick Snyder met Wednesday with his top budget officials, just ahead of today's deadline for sending out notices if the state opts to lay off employees Oct. 1. State officials have been told to prepare contingency plans for layoffs in case concessions can't be negotiated. Because a 30-day layoff notice is required, the state would have to send out notices today if it wanted to achieve a full year of savings by making any layoffs effective Oct. 1. Talks have been under way, but no progress has been made, Weiss said. 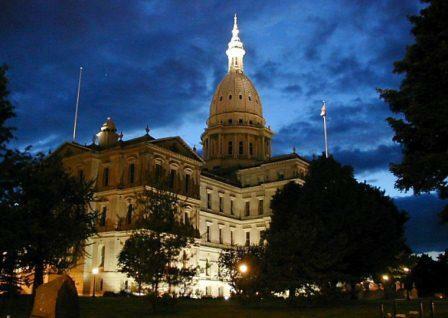 "State employee unions say state government is top heavy with managers and has too many contracts – and the Snyder administration should look those first before looking to squeeze more from frontline workers or lay them off," Lansing reporter Rick Pluta explains. As the state’s largest public employee union begins new contract talks with the Snyder administration, public employees are saying they’ve sacrificed enough. But, Governor Rick Snyder's administration is looking for more concessions. 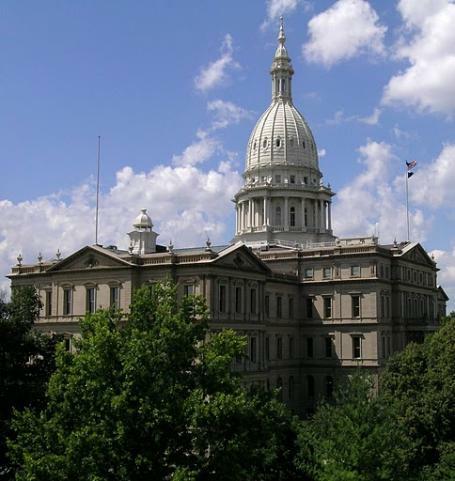 In our weekly political roundup we talk with Susan Demas, political analyst for Michigan Information and Research Service and Ken Sikkema, former Senate Majority Leader and senior policy fellow at Public Sector Consultants. There are many fewer state employees now than there were thirty years ago, but the total is still nearly fifty thousand. Most of them are union members, and contract talks are now underway between their unions and the Snyder administration. Negotiations aren’t likely to be easy. The governor wants a new contract that will save $265 million dollars, or about six thousand dollars per worker. The administration says we can’t afford to maintain the level of benefits they’ve been getting. The unions sharply disagree. So -- who is right? For many years, the great bargain has been that public sector workers traded high salaries for secure jobs with good benefits. A few years ago, a former student of mine talked to me about her husband, who just then was getting an advanced degree in economics. He was a very intelligent and capable man.